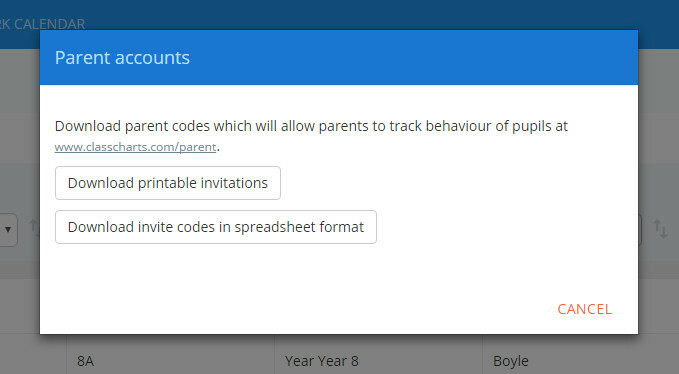 Once parent accounts have been enabled for your school, access codes can be distributed to parents so that they can view their pupil's Class Charts information. To access parent codes for all pupils in the school, click on the Pupils tab along the top of the page. You will be presented with a list of pupils that are currently enrolled at your school. If you are a school admin, you will see a button labelled Parent Accounts button in the top left hand corner. Click on the button to generate the codes. A popup will appear, which allows you to either generate printable invitations to physically send to parents or download the codes as a spreadsheet which you can then mail merge. 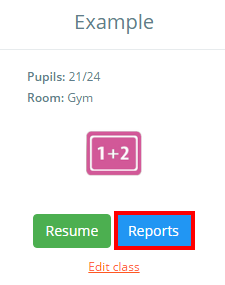 To access parent account codes for a specific class, click on the Reports button for the class of your choice. You will be presented with the behaviour report for the class. Click on the Parent accounts button above the report to generate pdf parent code invitations for each pupil in the class. 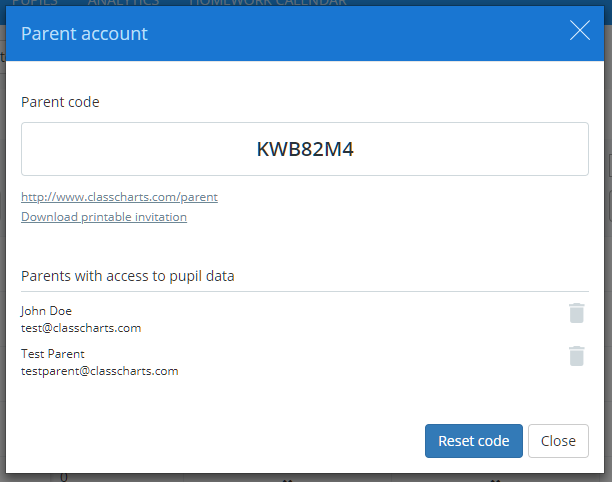 To access the parent account code for a specific pupil, click on the Pupils tab along the top of the page. You will be redirected to the pupil's behaviour report for Class Charts. Click on the Parent account button above the report. A popup will appear, containing the parent account access code and a list of users that have access to the pupil's data.